We've all heard the sensible saying that history is written by the victors, but on second reflection it should seem clear that it’s not the history itself that is written but rather the victors’ feelings about that history. For example, in the late 18th Century the British had taken to calling our national hero – George Washington – a “mad man” and libeled our storied Minute Men as “terrorists.” Which was it – as we said, or they? Obviously, the answer is both –depending solely on one’s interpretation of the events. Nonetheless, what’s one facet of the general disagreement that the Colonists and their former patrons across the pond could readily agree on? That the war occurred, the generals led, the battles raged and that the United States was born as a result. No sane person ever suggested that it was all just an elaborate hoax, or a myth. The reason this is, is due to the fact that when large groups of people experience an event together (details and feelings not withstanding) it becomes part of the collective conscious of that people, or groups of people and is passed on as what we later call “history.” It’s why we believe what we do about what has previously occurred. Sticking with the Washington example – would it be possible to suggest that the general had not in fact been selected as our first president, but rather someone named Jedidiah Harrison (for instance) who had proven such an unmitigated incompetent that they just quietly scrubbed him from the records and let it be known that Washington would hence forth be known as the first (and only first) president? The answer is no. And the reason is that there would simply have been too many people aware of poor Harrison’s appointment to casually sweep it under the rug. In other words, upon entering into the awareness of a sufficient mass of people, an event of national scope will be impossible to delete from the collective national “hard drive.” A critical corollary of this fact is that it would be equally impossible to introduce a false event (one that had never actually occurred) into the national consciousness. There are many ways to start a religion, but the best – based on its overwhelming abundance – seems to be a single-person revelation. In fact, a quick survey of the world’s major religions (or a longer one of the hundreds of extant religious systems and their thousands of offshoots) reveals that it’s the only method – with one notable exception. Unlike what was depicted in “The Ten Commandments,” Moses was far from alone when hearing those classic maxims on the mountain. As the Torah says “…and the entire people that was in the camp shuddered. Moses brought the people forth from the camp toward God.” (Ex. 19:16-17) And “These words God spoke to your entire congregation on the mountain, from the midst of the fire, the cloud and the thick cloud – a great voice, never to be repeated…” (Deut 5:19). In other words, this was a national event – the kind you can’t trick people into believing. 1. The event did not take place. Rather, someone invented it and sold it as true. This sale could have occurred at two theoretical junctures, a) around the time when the event was said to have taken place or b) long after the event was said to have taken place. Most would agree that a) is just not going to close the deal, but what about b)? As Rabbi Gottlieb correctly explains “it is simply not credible to tell an entire nation that their collective ancestors witnessed such an earth-shattering event and that it was forgotten. It would be impossible to explain why the memory of the event disappeared.” Even more so since the Torah says its contents will never be forgotten. Finally, if such a hoax was indeed possible, we should expect to have a legendary “hero” figure that was credited with reintroducing this incredible information to the populace and no such figure exists in Jewish history. 2. The event took place. “Oh please rabbi,” I can hear many agitated readers saying. “Doesn’t the fact that the Holocaust took place just a few decades ago and is already denied by millions prove that you can convince people of anything?” No, I would say. It just proves that it’s possible for anyone to deny true history if they are sufficiently motivated to do so. In fact, just how do we know that the Holocaust occurred? Pictures of mass graves and crematoria? I doubt that those photos contain more than a few thousand bodies – and who’s to say they’re even pictures of Jewish bodies? Nazi records? Better, but records are easily falsified. The real way we know is as I do – my great aunt Muncie was in Auschwitz and told me about her experiences directly. I have told her story to my children and they will tell it to theirs. When many thousands corroborate these events and pass them on as fact then we know with certainty that the event was real. Many religious systems have borrowed various concepts from Judaism – from Sabbath observance to dietary laws to moral code. If it is so easy to scam the masses, why wouldn't they borrow our revelation narrative? After all – millions of people simultaneously hearing the voice of God seems a lot more impressive and authoritative than just one. I posit to you that they don’t because they can’t. Their founders weren’t fools and knew full well that they couldn't possibly convince a whole nation to accept a hoax as their national history. Conversely, the only reason the Torah is able to make such an outlandish (and historically anomalous) assertion is because it actually happened. "There are many ways to start a religion, but the best – based on its overwhelming abundance – seems to be a single-person revelation. In fact, a quick survey of the world’s major religions (or a longer one of the hundreds of extant religious systems and their thousands of offshoots) reveals that it’s the only method – with one notable exception." Gradual myth evolution and acceptance is also a common way. "As the Torah says “…and the entire people that was in the camp shuddered. Moses brought the people forth from the camp toward God.” (Ex. 19:16-17) And “These words God spoke to your entire congregation on the mountain, from the midst of the fire, the cloud and the thick cloud – a great voice, never to be repeated…” (Deut 5:19). In other words, this was a national event – the kind you can’t trick people into believing." This is Canaanite theophany. Or could be Volcano. Ancients could well interpret those as a divine revelation. We do not know how many people where there, it was not 600000 plus. "So here we have a people (who have doggedly clung to the belief in this occurrence and its consequent behavioral implications and lifestyle choices) for more than three millennia – often at the risk of life and limb." What ? Torah discusses nuclear forces ? Krebs cycle ? Pollination ? Please provide references. The Idea of a creator god was widespread.
" It’s one thing for an impressive and charismatic figure to stumble in from the desert and claim “enlightenment” or prophecy, perhaps perform a few feats of wonder and then announce that he is channeling God’s will. That’s the way to do it – in as much as it can’t be confirmed or denied. But it’s quite another for that same guy to inform the crowds that they themselves heard the voice of God! Just how would that work? So again, the fact is that the vast majority of Jews have (at least until very recently) always accepted the revelation as fact. What are the possibilities of how this came to pass? How did the first believers arrive at their belief? " I explain one way how in Kuzari part 3. "Many religious systems have borrowed various concepts from Judaism – from Sabbath observance to dietary laws to moral code. If it is so easy to scam the masses, why wouldn't they borrow our revelation narrative?" My Kuzari posts provide some examples of supernatural revelations and miracles that people believe. My post kuzari part 3 also provides reasons why - there was a limited time frame and certain conditions required for the stories to occur.
" After all – millions of people simultaneously hearing the voice of God seems a lot more impressive and authoritative than just one." Voice of God matches Canaanite Theophany = storm and lightning. Or a Volcano. Or it is just an invented foundation myth with no basis in reality. It became accepted over time and there are ample number Israelite leaders who for political reasons may have encouraged acceptance of such a foundation myth. A future post of mine will elaborate on an alternate theory that the Kenites, Levites and Moses invoked the desert warrior fire god Yahweh. This is a modification of the theory proposed by Theodore Reik in his book Mystery on the Mountain . Theodore was a (Jewish) student of Freud and a Psychiatrist. Thanks for your many posts to the blog. I don't think I'll have time to respond to all of them so I'm starting with this at minimum. You discuss gradual myth evolution which I certainly believe exists. However, what this argument presents is quite unlike other myths by virtue of the magnitude of the claim its making. Do you have another example of a myth that suggested that an entire people simultaneously experienced an EVENT together that never actually occurred? In another post you cite the White Buffalo Calf Woman as a parallel example which it obviously is not given that only two people saw it and only one came back - making it exactly the type of "revelation" that I claim is unreliable. Canaanite Theophany may have depicted their god as a storm and there were elements of the Revelation that were storm like but the similarity ends when the Jewish claim is matched against the Canaanite one. Did they claim that the entire Canaanite nation heard the voice of Baal speaking to them - no, they did not. Additionally, it seems like a stretch to suggest that a storm or a volcano were such unknown phenomena that they caused an entire population to radically alter its view of itself and cling to such a seemingly outlandish story. Why are there no other examples of this in history? I also checked out his blog - Actually WBCW - after the 2 saw her, she came back to the Lakota people and they ALL saw her. In addition, The guy has a few other revelations - Castor and Pollex - you have to read his entire series. I think the point he is making about Canaan is first we may have incomplete records and it is odd that G-d reveals himself as a storm or volcano god. And there are examples of masses of people coming to believe in false mythology. You have to read that guy carefully and really think about what he is getting at. I think he makes some good points. Re: WBCW - first of all, in the version I read it simply says "people," not "all the people," and given that most of us don't read or understand Lakota, it's fair to say that we don't know what it actually says. But be that all as it may - even if all the Lakota people saw her, so what? She seems to be a special woman who taught them some spiritual practices and gave them a pipe - ok. I have no problem with that and it's not at all parallel to the national revelation described in Exodus. Castor and Pollex even less so as there are primary Greek sources that say that they were just regular men. I read your piece and wrote a response. It's far too long for the comments section of your blog, so I posted it to mine. If you have the time or inclination to respond, I'd be very appreciative. Thank you for your reply. FYI, I replied back on my blog. Do you have any idea how many nations have "national histories" which are fictional and equally crazy? Do you do research *at all* before you publish? p.s. the best that science can tell is that the Israelites weren't even in Egypt, nor at Mt. Sinai. So you're basing your beliefs on a terrible argument with clear examples which disprove it, and about an event which the best of science would indicate couldn't possibly happen. I mean, hell, there was hardly even an "israelite people" at that time! The torah's outlandish claims are simply just that. Yes, I do quite a lot of research before I publish and what I've discovered is that there is no other nation who has our national revelation claim. What example can you cite from your research? What you refer to as the "best science" others refer to as "soft science" since there's so much guesswork involved. If you like archaeology though I would suggest you have a look at this documentary which does provide compelling evidence of the Israelite presence in Egypt - http://www.patternsofevidence.com/en/. One of the major problems with the Kuzari proof is that there are two bottlenecks in traditional Jewish history where the Torah was re-introduced, one during the reign of Yoshiyahu Hamelech (King Josiah) and one during the time of Ezra. Both times, the Torah was "re-revealed". So the continuous narrative that the Kuzari proof depends on does not exist, according to Tanach itself. Even if you assert that what was found in Yoshiyahu's time was just Devarim, and the people knew the rest of the Torah, that claim is harder to make in the time of Ezra, These were returnees to the land who had clearly been living without a Torah for some time, or the returnees who came back with Ezra. So the revelation story was new to them, yet they believed it, just assuming that the chain had been broken. According to your reasoning, they should have said "wait! my parents and grandparents didn't tell me that!" Instead, they just assumed that in the upheaval of exile, the tradition had been lost. First, I want to commend you for taking the time to address the issue of problems with belief in TMS (Torah min Hashomayim), as most in the frum world simply dismiss it and think that’s adequate to demand belief. I read AJ’s post responding to you and must concur with much that he says. The Kuzari argument is simply not compelling. Especially when in our day and age when we have the most educated Torah-observant Jews in history and yet I see that the Chareidi world accepts and believes so many aspects of (their) Judaism that we know are inventions, eg. Infallibility of Chazal in science or “daas torah” (in its modern incarnation), or learning in kollel as the be all and all of Judaism, or that all that is in the Talmud was told to Moshe at Sinai, etc, etc….so we see a million people can be told invented facts and believe them blindly. How much more so, when the stories contain outrageous claims made to primitive peoples. But, even if one were to accept that Revelation occurred at Sinai as per the argument of Kuzari, it totally fails to speak to the details of the contents of the Torah as we have it today. Especially since there is overwhelming evidence from N’kh that the Torah developed over that period. An area of scholarship that is totally ignored by the Yeshiva world. It would take a book to elaborate on this, for which I don’t have time now. However, I do plan on writing something short on this point (actually, I started it for another blog post). If I do, I’ll also post it here. As you haven't articulated why you don't find it compelling it's hard to respond. I will say that I think there is a lot of evidence in Nach that corroborates the Oral Law as we claim was received at Sinai so I'd be interested in hearing what this "overwhelming evidence is." Also, very few charedi people that I'm familiar with believe in the infallibility of the sages at all - let alone in science. How did you come to that conclusion? Kuzari Proof is an assertion that doesn’t convince me, mostly because I see that in my lifetime that the Chareidi world accepts things that have clearly been fabricated in recent times, as I mentioned. I grew up in that world so your assertion that you haven’t met many who believe in the infallibility of “daas Torah” or Chazal means nothing. Maybe you should read Rabbi Meiselman’s recent book on Torah and Science or the blogs of R. Dovid Kornreich (Slifkin-Challenge) or R. Simcha Coffer (don’t remember the name of the blog) who believe and argue for such levels of infallibility. This proves to me that people are gullible and can be told things by people they trust to be truthful and thus accept these people’s statements. That's today, how much more so when people were primitive, uneducated and superstitious. You did not respond to my other main point, that all Kuzari might argue for is the possibility of an event having occurred and a Torah (not The Torah) given. But it cannot speak to the contents of that Torah, which could easily have been expanded upon over many centuries. As for N’kh. Unfortunately it would take a book to fully do it justice, but I’ll give it a crack. 1. Take the earliest of books…Samuel. Firstly, it is an amazing co-incidence that this earliest of books is almost completely devoid of any mention of Torah, mitzvoth, references to mitzvoth, etc. as if the Torah didn’t exist. The people in the narratives appear to live a life style different than the Judaism as given in the Torah. Shabbat and Yomtov never hinder their travels or activities. They are warriors and yet “Tumat Hamet” is never a problem nor do they adhere to rules of war as given in Devarim, they built altars willy-nuilly as opposed to the requirements of the Torah, they sin and never bring chatot, they kill wantonly, (and much much more). 2. Of special note and quite compelling is that our hero King David seems to transgress many Torah laws and is NOT admonished by the author. Adultery (bat sheva), Re-marries his divorcee( Michal), allows revenge against Saul’s family against the concept of “children shall not die for the sins of their father (Dev)", attacks cities and kills all their inhabitants. And most interesting is that David is punished for one sin, by taking a census of his people. Yet he was obviously unaware that the Torah allows for a census if done in a certain fashion. Or similarly the chronological sequence of Isaiah, Jeremiah, Ezekiel. 4. Kings and Chronicles correspond roughly to the same narratives, with dozens of differences and contradictions. Here’s another interesting fact. The many dozens of difference and contradictions between Devarim and the rest of Chumash correspond to the many dozens of differences between Kings and Chronicles. Obviously the author of Kings only had access to Devarim. Whether or not large numbers within the Chareidi world accept ideas that you feel have been fabricated is absolutely irrelevant to the Historical argument. For example, millions of Germans seem to have accepted the Aryan myth before and during the second world war. That may be true but is also irrelevant. What is relevant is that nations have never and will never accept false national history - i.e., stories that are claimed to have occurred to huge numbers of their ancestors but never actually happened. The way that I like to express this is that people will definitely accept claims without evidence (every non-Jewish religion is proof of that), but they will never accept claims against evidence. And if the claim involves huge numbers but never happened, everyone will clearly know that it never happened. That is why Muhammed, Paul, and Joseph Smith all claimed that only they had the prophesy from G-d, not the rest of the group. 2) In Samuel 1 ch 2 verse 27 there is a clear reference to the Jews having been in exile in Egypt and that Aharon Hakohen (the High Priest) prophesied in regards to the laws of the kohen. 3) In Samuel 1 ch 3 verse 1 it states "...and the word of Hashem was very precious to the people in those days, they didn't need frequent rebuke from the prophets"
4) The very next verse makes referenced to the ark of the covenant. The well known ark of the covenant from the 5 Books of Moses. 5) In Samuel 1 ch 4 verse 6 there is a reference to the trumpets that are blown in going out to war that we see in the book of Numbers 9:9. 6) In Samuel 1 ch 7 verse 3-6 we see the concept of tshuvah, return to the full service of God. It is mentioned with fasting, prayer, sacrifices, change for the better and all of the classical components of Jewish tshuvah that we find referred to in the Torah and the tradition. 7) In Samuel 1 ch 7 verse 15 we see at to Samuel served as a judge for the people. This is precisely what God said the Jews should do in Deuteronomy "judges and officers you shall appoint in all of your gates." 8) In Samuel 1 ch 8 the people ask for the appointment of a king, exactly as it was for told that it would happen by Moses in the book of Deuteronomy chapter 15. 9) In Samuel 1 ch 10 verse 2 there is mention of the well known tomb of Rachel which is mentioned in genesis 48:7. In summary, we could go through the entire book of Samuel 1-2 and show literally hundreds of clear references to Torah concepts, laws, frames of reference, etc etc etc....as well as the Jewish people's awareness of those concepts, laws, and frames of reference. I have found 10 in the first ten chapter of Samuel 1 and trust me I wasn't trying that hard. As for the sins that we find the Jews individuals or collective being admonished for, this is the style of the prophets throughout the entire scripture. They always speak in blatant enlarged terms to bring out the root of the matter for all generations to see and learn from. Nonetheless in 2 Samuel 12, David is heavily admonished. You keep overlooking (or refusing to respond to) the most important point I made and that is that the Kuzari “proof” may argue for the truth of an event having occurred (i.e. that possibly God gave us a Torah at Sinai) but and here is the point again, it cannot possibly nor does it argue for the precise contents of that Torah. That is that the contents of the Torah as we have it today is precisely the Torah given at Sinai, especially when we have all kinds of evidence that changes occurred and there is even one tradition that the entire Torah may even have been completely forgotten and re-introduced by Ezra. >>>>> That may be true but is also irrelevant. No, it is NOT irrelevant, it demonstrates that even the most learned of Jews are gullible and this fact (of gullibility) undermines the reliability of a so-called “mesorah”. >>> but they will never accept claims against evidence. Ah, but the Jews do. As I said, how many Jews accept that Chazal knew all kinds of science not known to their world or that they were infallible in their scientific and historic pronouncements. Or worse the many outrageous medroshim that chareidim accept as factual history. Wow, how does this prove that the Torah existed. It never once refers to these acts as “According to the Torah of Moses’ or “as given to us at Sinai”.Yet this type of phraseology does in fact show up often later in N’kh but is completely absent in the Book of Samuel. As for the mention of these practices. so what, they had practices which became part of the Torah. According to your logic, the Canaanites must also have kept our Torah as they had the same 3 pilgrimage holidays, they offered sacrifices, they had some form of prayer, they practiced circumcision, they had some form of a judiciary, etc. etc. Must be they had our Torah. Again, all this shows is that there was a tradition (maybe just an oral one) that the Jews were once in Egypt as slaves. >>>>> and that Aharon Hakohen (the High Priest) prophesied in regards to the laws of the kohen. In fact this statement contradicts Exodus, which tells us that Aaron DID NOT become a priest until after “Matan Torah”, but NOT in Egypt. >>>>> 3) In Samuel 1 ch 3 verse 1 it states "...and the word of Hashem was very precious to the people in those days, they didn't need frequent rebuke from the prophets"
Again NO mention of matan Torah or Torat Moshe or anything similar..
>>>> 4) The very next verse makes referenced to the ark of the covenant. The well known ark of the covenant from the 5 Books of Moses. How do you know that this refers to ark from the Torah. As for “well known”…Even in the Torah we have 2 versions of the ark. One in Dev. and a different one in the rest of the Torah. Maybe there was 3rd tradition. >>> 5) In Samuel 1 ch 4 verse 6 there is a reference to the trumpets that are blown in going out to war that we see in the book of Numbers 9:9. Again, so what…all nations used trumpets in war. >>>> 6) In Samuel 1 ch 7 verse 3-6 we see the concept of tshuvah, return to the full service of God. It is mentioned with fasting, prayer, sacrifices, change for the better and all of the classical components of Jewish tshuvah that we find referred to in the Torah and the tradition. NO. not exactly as per the Torah. The Torah never tells us to fast as part of Tshuvah. Also, the Torah talks about Kapporah as part of Tsuvah. Samuel and David never heard of the concept of Kapporah. Kapporah only shows up in N’Kh in the second Temple time. >>> 7) In Samuel 1 ch 7 verse 15 we see at to Samuel served as a judge for the people. This is precisely what God said the Jews should do in Deuteronomy "judges and officers you shall appoint in all of your gates." As before, so what, so did all ancient nations to varying degrees. >>>> 8) In Samuel 1 ch 8 the people ask for the appointment of a king, exactly as it was for told that it would happen by Moses in the book of Deuteronomy chapter 15. Samuel argues against the monarchy. Question: Why don’t the people use the Torah’s commandment as support for their desire to have a king. Answer: Because they had no Torah to use for their argument. Question: Did Samuel NOT know from the Torah itself, that eventually the B”Y would have a monarchy? Does it not say so overtly in Gen 36:31.? >>> 9) In Samuel 1 ch 10 verse 2 there is mention of the well known tomb of Rachel which is mentioned in genesis 48:7. Ha!. Check the verse again. It places the tomb at the wrong location as compared to Genesis. No you can't. That's the whole point. The practices and events never reference back to our Torah. You miss the point completely. Reference to topics that afre also part of the Torah without ever mentioning that they came from the “Torah” is meaningless. >>> Nonetheless in 2 Samuel 12, David is heavily admonished. Ah, but for what? Not for the capital offenses of adultery or killing people. EVER. Why? because these were NOT offenses in David’s time. The king was permitted much leeway as opposed to what was later stated in Dev., that the king must follow the Torah. Additionally to having a “different” Torah, as I said, David was obviously unaware of Exod 30:11+ about the “Makhtzit hashekel” as a way to take a census witjout sinning. >>>> As for the sins that we find the Jews individuals or collective being admonished for, this is the style of the prophets throughout the entire scripture. I am only talking about our super hero and yirei Shomayim and shomer Torah, Dovid Hamelech. Question: Did he or did he not commit adultery as defined by the Torah?? Your assumption that in order for there to be any connection between the books of the prophets and the Torah there must be explicit mention and explicit reference is completely arbitrary. You invented it. When the people who are being addressed are clearly all aware and knowledgable of the history and the background of their people it is not necessary to reference. The Torah itself has many many examples of paraphrasing previously mentioned topics, rephrasing, loose referencing, and in many cases deliberate and subtle changes. This is precisely what leads to the thousands of pages of Talmudic discussion which centers around exegesis leading to the derivation of many universally accepted Jewish laws. The Torah establishes clear guidelines for how prophets were tested and validated. The Torah itself enjoins the people to follow the admonition of such prophets. Once accepted and validated there is no further need for the prophet to reference chapter and verse from the Torah in his written word to the people. Nor is it wrong to rephrase, paraphrase, loosely reference, or otherwise any concept or principle as the Torah itself does this literally hundreds of times. There are specific rules of what a prophet can introduce in relationship to changing the Torah. There is a clear historical flow and written narrative from the days of Moses, through Joshua and the Judges, and continuing on through to the days of Samuel and onwards. When you look at the entirety of it, there is no compelling reason to assume that the Torah was lost and a new one took its place. There are clear references straight through all of those books to the "Aron Bris Hashem", the ark of the covenant that they possessed and held with them. This ark contained the primary artifacts of the Jewish people. But in any event I have established that the prophet clearly does reference singular Torah concepts consistently. I did so by referencing points in the early chapters of a book about which you said "is almost completely devoid of any mention of Torah, mitzvoth, references to mitzvoth, etc. as if the Torah didn’t exist. The people in the narratives appear to live a life style different than the Judaism as given in the Torah". I just wouldn't make such a broad sweeping statement which is so unsubstantiated, and which has such deep ramifications. There is nothing compelling the reader to draw such conclusions. The verse about the trumpets was much more subtle than that. The verse uses the words "את קול התרועה״ which is the precise word used in the verse in Numbers to refer not only to the presence of trumpets but to the sound the Jews blew with the trumpets. It also uses the extra letter "ה" as in "התרועה" which in scriptural writings is known as the "well known" or "iconic". So in this case the Jews are using trumpets making the specific well known sounds of teruah that are mentioned in Numbers. You claim "Samuel and David never heard of the concept of Kapporah. Kapporah only shows up in N’Kh in the second Temple time." I find your assertion to be quite difficult for the following reasons. Samuel 1 ch 3 verse 14 which is Hashem's words directly to Samuel ...uses the words "אם יתכפר עון בית עלי" which translates to mean if the transgression of the house of Eli will be atoned for. The Hebrew word is "kaporah" a word you claim Samuel never heard of. There are two other references to kaporah I samuel 1 6:18 and 12:3. Also in Samuel 2 21:3 the verse says "and DAVID said to the givonim what shall I do for you and how may I make atonement ״כפרה״ that you may bless the inheritance of Hashem?" To assert that David never heard of kaporah is thus also difficult. But more than that in the book of psalms 78:38 and 79:9 King David makes clear reference to kaporah and his intimate knowledge of exactly what it is. You added that the Torah never mentions fasting in relation to tshuvah. That is going to be a hard position to maintain since to fast is the simple understanding of "ועיניתם את נפשותיכם" - and you shall afflict yourselves - mentioned in Leviticus 23:32 in regards to Yom Hakippurim which is a day of tshuvah and culminates what is co manly referred to in our heritage as the Ten Days of Tshuvah. This goes without saying that fasting and tshuvah go together in Jewish consciousness so seamlessly that to assume that such an association came about at as some sort of addendum at a later date would be very tenuous at best. You say "Samuel argues against the monarchy. Question: Why don’t the people use the Torah’s commandment as support for their desire to have a king. Answer: Because they had no Torah to use for their argument. Question: Did Samuel NOT know from the Torah itself, that eventually the B”Y would have a monarchy? Does it not say so overtly in Gen 36:31.?" In regards to the appointment of a king the mitzvah is conditional or situational. If it was an absolute mitzvah then they would have had to appoint one in the desert and they didn't. The Torah says when you will come to the land and you say "I will place a king over myself like all the nations around me". The situation must arise with these conditions, then it is a commandment to establish a king. In the days of Samuel the verse says "all the else's of Israel gathered and they came to Samuel in Ramot. And they aid to him behold you are old and your sons have not followed in your path and now appoint a king to judge us like the nations." What does the fact that Samuel's sons had not followed in his path have to do with this? Furthermore the Jewish people have been in the land for close to 400 years already, why is the first king only being appointed now? The next verse says "and the matter was evil in the eyes of Samuel since they asked 'give us a king to judge us' and Samuel prayed to Hashem. It is quite clear that although there was a prophecy from the days of Jacob that there would be kings, and that there is a mitzvah when the situation and conditions arise, that the question here was one of motivation. Samuel sensed in the presentation and the wording of the people that there was something amiss about their request. This understanding is substantiated in classic Jewish sources see the Sifri to the verse in Devarim. Also the Talmud in Sanhedrin 20b brings an extensive discussion about whether or not the Torah even meant this appointment of kings as a commandment. Even those that say that it is a commandment, argue as to whether the people in the days of Samuel were pure in their motivations. The reason a king hadn't been appointed until then is precisely because they had not needed one based on their situation. Samuel saw that the voice of the people was coming from ulterior motives and not because they really needed a king. This is the classic and traditional understanding of these passages. You are entitled to disagree as you wish but don't expect anyone who takes Jewish tradition seriously to accept your position. I will address your misunderstanding of the verse regarding the placement of the tomb of Rachel, but before I do that, there is a much more basic issue. The tomb of Rachel is and always was a landmark. Everyone knew about it, everyone knew exactly where it was. Even if Samuel had mentioned a different location everyone would have still known exactly what and where the tomb of Rachel is. To say otherwise would be similar to saying "its at the Beis Hamikdash over there in Cleveland". Everyone would know you meant the Beis Hamikdash in Jerusalem. This wasn't a reference to a place in a foreign land. It was in the land where they lived. But in any event the verse should be read as follows "while on your way today from here in my presence you will find two men who are walking towards us from the tomb of Rachel and you will meet them in the boundary of binyamin ...." See Rashi, Metzudas David, Radak, etc. this was always the classic understanding of this verse. This is not some attempt at apologetics as this is the we have been learning and teaching our children the meaning of this verse from time immemorial long before the modern trend of bible criticism ever existed. What remains is your questions about King David. I will dedicate a separate post to dealing with the issue of King David. >>>> Your assumption that in order for there to be any connection between the books of the prophets and the Torah there must be explicit mention and explicit reference is completely arbitrary. You invented it. § I never said there MUST be. I simply pointed out the fact that there is none in Samuel. And what is more is the fact is that the book of Kings does have such references and then further is the fact that the book of Chronicles has even much more. That is the whole point. >>>> Once accepted and validated there is no further need for the prophet to reference chapter and verse from the Torah in his written word to the people. Ah, But N’kh does provide references….increasingly so… that’s the whole point. According to your logic there should be a regressive number of references. The opposite is true. There is a progressive number of references to a “Torah” and/or to any specific contents, as one proceeds through the 3 chronologically written books (Samuel, Kings & Chronicles).. In Kings all but 1 are references to some content of Devarim (only Devarim). While Chronicles is replete with references to contents of non-Dev. entities. One can identify over 5 dozen differences or contradictions between Dev. and the rest of Chumash. Similarly, one can identify over 5 dozen differences or contradictions between Kings and Chronicles (often for parallel narratives). It is an interesting co-incidence that these dozens of differences between Dev & rest of Chum are almost exactly the same as between Kings & Chronicles. It’s a fact. A couple of examples of what I mean. (a) the autumn holiday (a.k.a Succot) as reported in Dev. consists of 7 days, while in Lev. its 7+1=8 days. We find the same difference (betw. Kings & Chron) in the report of Solomon dedicating the temple and celebrating the autum Chag (supposedly succot). (b) Dev. never calls the Kohanim B’nei Aaron as is found repeatedly in the rest of Chumash. Same distinction is found between Kings & Chron. There is a progressive appearance of Torah references in N’kh. It’s a fact. You can dismiss as a co-incidence, but it’s there. A similar progression can be found in analyzing the trio of books Isaiah-Jeremiah-Jezekiel. >>>> You claim "Samuel and David never heard of the concept of Kapporah. Kapporah only shows up in N’Kh in the second Temple time. Mea Culpa. I was not careful in what I wrote. I was referring to National Kapporah, i.e. Yom Kippur, not personal Kapporah. Yom Kippur is never found in N”kh. Yet the 10th day of Tishrei actually does appear thrice and on each occasions it is not recorded that it was celebrated as a day of Kapporah or that that year it would be cancelled. No, it doesn’t. Where does the Torah relate Yom Kippur to being a day of personal Tshuvah (i.e. repentance for specific transgressions). Further, throughout the Torah when Korbonat are commanded to be brought to atone for sins, the Torah never instructs the sinner to fast to accompany these offerings. You provide an elaborate explanation of why the people don’t deserve a king. Fine and dandy but it is totally irrelevant. IT does not change the fact that if the people wanted a king, their strongest argument for would have been by quoting God’s own Book. In addition, when Samuel cedes to their wishes and appoints Saul, does he have Saul write a Sefer Torah (maybe?) does he warn Saul about all his responsibilities as per Dev. (maybe?) The fact is the text does NOT record that Samuel does or doesn’t. A logical reason would be that the text of Dev. DID NOT exist as yet. "[When] large groups of people experience an event together (details and feelings not withstanding) it becomes part of the collective conscious of that people, or groups of people and is passed on as what we later call 'history.'" That's how how history works. What we call "history" is based on extensive study of primary and secondary sources. We know the Revolutionary War happened because there are piles and piles of contemporaneous sources (eg, new periodicals, diary entries, military documents, legal documents, etc) that describe its occurrence. As far as I'm aware, the only evidence we have for the revelation at Sinai is the Bible, which is, at best, a secondary source. We need more evidence. Serious historians don't consider "collective consciousness" or people believing in something evidence of anything more than the fact that believe believe in something. In more ancient cases by and large those primary sources are unavailable. So for instance, in order to determine if there was in fact a Torjan war, historians can look to archaeology (where there is debate over the topic) or read the Iliad and draw whatever conclusions they may from that. Unfortunately, there is no extant Trojan community to consult. If there were, I would find it compelling that it was a long accepted part of their history that the was occurred. In any event, the "serious" historians you mention would still need to provide a plausible explanation to a) how so many came to accept this unique and outlandish claim and b) when? Actually, no serious historian would need to provide any explanation to how many people came to accept any unique or outlandish claims. Just because you can't think of any other explanation, that doesn't make your explanation more reasonable. Ever heard of "argument from ignorance"? Think of it as philosophy and not history if you prefer. I don't see it as an argument from ignorance but rather the best explanation to a conundrum - one that to date I have not heard a better one for. So why could not the some other peoples like the Israelites do the same ? It's no secret that various people have associated natural occurrences - from rain and wind to crops and earthquakes - to one god or another. 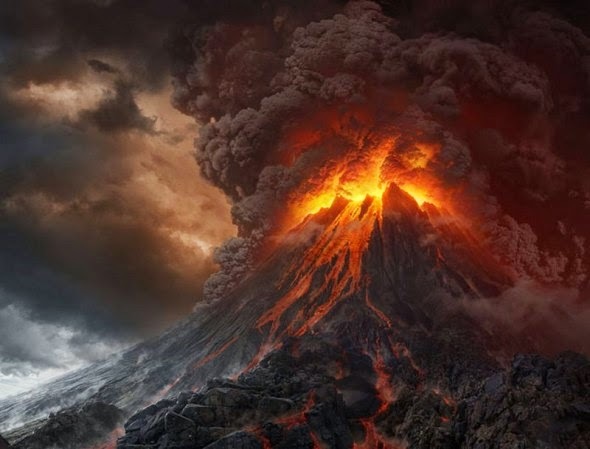 However, they were familiar with the occurrences and despite the fact that they may have believed that their god was the cause of it, they did not come to believe or report that the observation of a volcanic eruption was actually their deity speaking to them. As such it's not an effective counter-example. Dear Rabbi - there are natural explanations within academic scholarship. AlterCockerJewishAtheist has published some of these. For one there is plenty of evidence there were not several million at Sinai. Why do we believe TMS ? Because so many of us have done so for thousands of years, and there is no way we could believe it unless it was true. This is sort of circular reasoning. Claiming we are the only one with a revelation reduces to special pleading and or the Texas Sharpshooter fallacy. I got this from ACJA blog. What is the "plenty of evidence?" We are suggesting that we are the only ones who claim a national revelation and that the unique nature of that claim has philosophical implications. Surely it's reasonable to ask why there are no others, no? Fundamental questions about the existence and nature of God. We are a collection of committed theists who hold that there are serious, satisfying and well thought out answers to these important challenges.